ChargePoint Services has announced they have placed an order with French EV hardware supplier – EVTronic, for fifty Rapid Chargers as part of the continuing expansion of the GeniePoint Network across the UK. 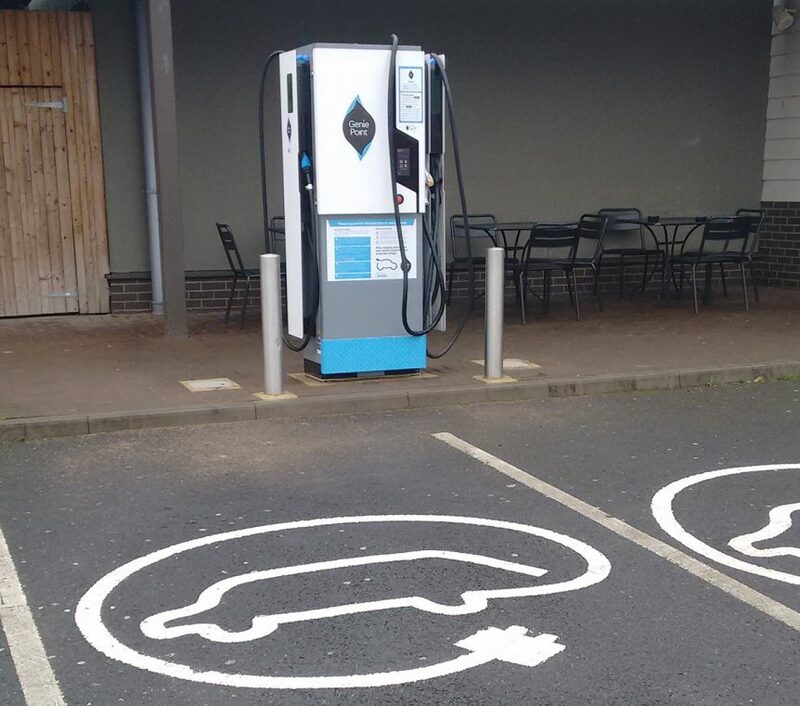 The first of these Rapid Chargers is due for delivery by the end of August and will be connected to the GeniePoint Network for use by EV drivers registered on the GeniePoint Network. Over the next three months, the chargers will be installed at key locations nationwide, hugely expanding the GeniePoint Network to incorporate another £1m of Rapid Charging hardware, making it one of the largest and most reliable EV charging networks in the UK. Packed full of up to date features the EVTronic charger offers Smart energy storage – when there is no or slow charging, the charger automatically stores electricity, then delivers it when a vehicle is connected for a rapid charging session. Fully scalable, the charger will be able to keep pace with growth in vehicle battery sizes as they increase in the future.